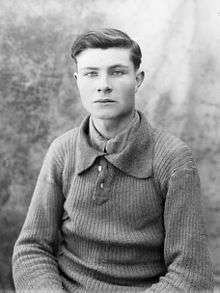 Alphonse Achille Souchard (17 May 1900 – 24 September 1976) was a French cyclist who competed in the road race at the 1920 Summer Olympics. He finished tenth individually and won a gold medal in the team time trial. After winning several amateur races in 1922-23, including the French Road Championships, he turned professional, and won the national again title in 1925 and 1926. He rode the 1924 Tour de France, but did not finish. 1 2 "Achille Souchard". sports-reference.com. Wikimedia Commons has media related to Achille Souchard.